The answer is really very simple. Book reviews are highly valuable, not just for the one receiving the review, but for the one writing it as well. Every book a writer reads gives them insight into what’s trending in the market, which aids in determining the commercial potential of their books. Market research is vital for finding a publisher. Many writers finish their books and turn to places like Writers Market, Publishers Marketplace, and Query Tracker, then spam all the editors, agents, and publishers they can find. A more successful approach might be turning to your bookshelf instead. 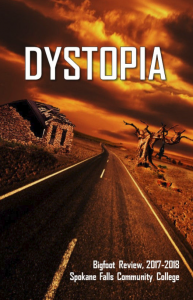 When writing book reviews, writers are forced to think critically about a story. That critical thinking process can then be applied to their own work. Also, a book review forces writers to summarize an entire novel in a few paragraphs, a skill necessary for every synopsis, query, and cover letter they will ever write. Reading adds to a writer’s knowledge base, which they can draw on when solving problems in their own manuscripts. And, aside from the obvious ways writing book reviews can improve a writer’s craft, it can be a deeply rewarding experience. There is a thrill that comes from reading something that hasn’t been published yet. Advance reader copies are better than library books because they are free and you get to keep them, which helps build your personal library. (And, every writer should have an extensive library.) It also provides an opportunity to read authors you normally wouldn’t, which may result in unexpectedly stumbling across truly great authors. 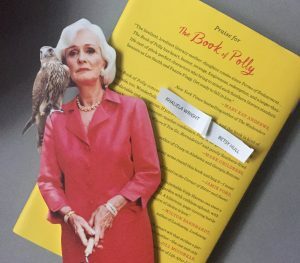 That’s what happened when I reviewed The Book of Polly, written by Kathy Hepinstall. I normally read fantasy or non-fiction. Thanks to the “Blind Date with A Book” program at BookPeople of Moscow, I found myself reading a work of fiction that I wouldn’t have chosen for myself. I immensely enjoyed the book and recommended it to a number of people, winning an autographed copy in the process. That was definitely worth taking the time to read the book. Besides, according to Chuck Wendig, an untrustworthy drunk whose blog is NSFW and probably NSFL, “The first rule of write club is write . . . The second rule of write club is read.” Writing book reviews covers both rules. So, for the rest of the summer, I’ll be getting to know my next blind date (review forthcoming) and trying to convince my writing club that we need to fire the cupcake cannons. And the next time someone tells me I’m wasting my time, I’ll refuse to share my cupcakes with them. ISBNs, Copyrights, and Barcodes, Oh my! This entry was posted in Writerly Resources and tagged Writer. Bookmark the permalink. I was reading some of your content on this internet website and I believe this website is truly instructive! Keep putting it up.